Theresa May has pledged to keep the UK “strong and united” after Brexit as she marks a year to go until the UK’s departure from the European Union. 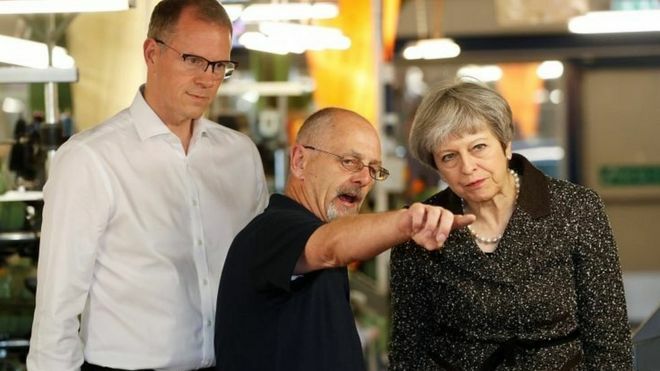 Mrs May began her tour by visiting a textile factory in Ayrshire with other stops at a parent and toddler group in Newcastle, lunch with farmers near Belfast before meeting businesses in Barry, south Wales. Speaking ahead of her trip, Mrs May vowed to regain control of “our laws, our borders and our money” and that the UK will “thrive as a strong and united country that works for everyone, no matter whether you voted Leave or Remain”. The prime minister has been accused of a power grab by the Scottish and Welsh governments over plans to repatriate some powers from Brussels to Westminster rather than to the devolved administrations. She insisted each of the devolved administrations would see “an increase in their decision-making powers” and that her government remained “absolutely committed” to the devolution settlements. 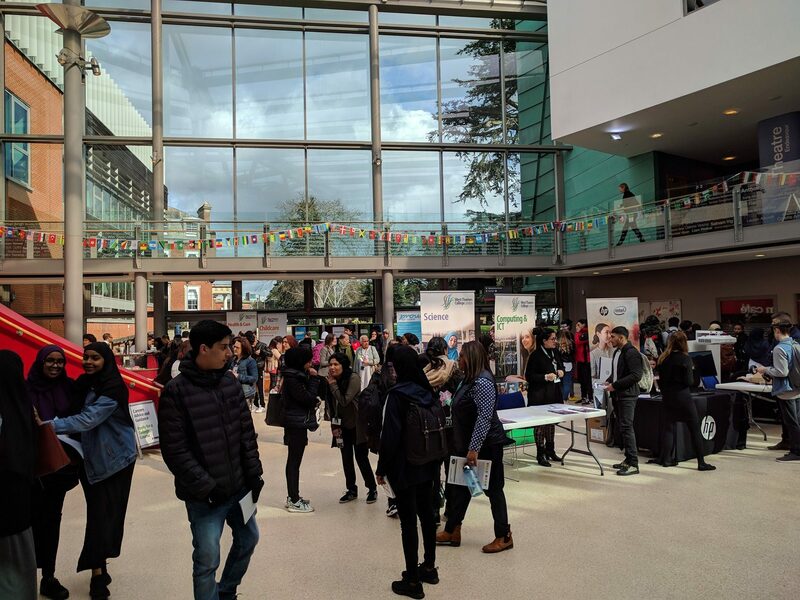 Hundreds of job seekers were interviewed on the day whilst many more had the opportunity to speak to over fifty employers, helping them to hone their CV and try out new skills. Aspire is such a brilliant event! UK employers are “fearful” about what a future migration system will be like after Britain leaves the European Union, according to a new report. 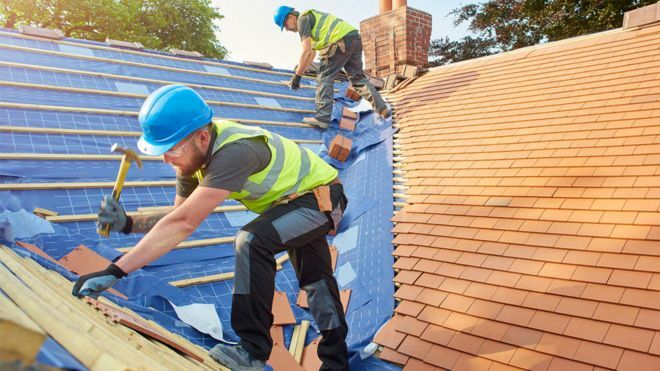 The Migration Advisory Committee (MAC) said businesses are concerned about their ability to recruit workers from the EU after Britain leaves the EU. 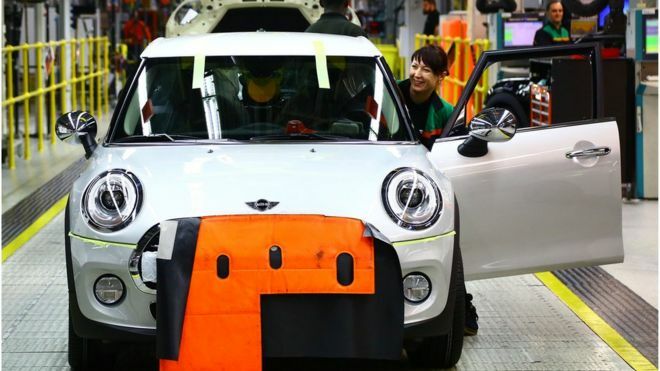 UK employers also see EU workers as “more reliable” and eager than their British counterparts, the report said. The Home Office said it was committed to “sustainable migration”. The interim report is part of a review assessing the impact of Brexit on the UK labour market. Many employers expressed the view that migrants from the European Economic Area (EEA) are more reliable and more willing to work long and anti-social hours than UK born workers, the report said. The committee, however, said it was difficult to objectively assess these claims. The report found while EU migrants from the original EU countries are paid 12% more than comparable UK workers, those from newer member states are paid 27% less. But it added that the claim by employers that they would not attract more UK workers even if they raised wages, was “not credible”. The analysis concluded that most employers do not deliberately seek to fill vacancies with migrant workers, but employ EEA migrants when they are “the best” or only available candidates. Lower migration into the UK will “very likely lead to lower growth” the committee said, though impact on living standards was “less clear”. This report is likely to strengthen the hand of those in government pressing for a more cautious approach to curbing the number of EU migrants coming to Britain after Brexit, the BBC’s assistant political editor Norman Smith said. The review – commissioned by Home Secretary Amber Rudd – took views from more than 400 businesses, industry bodies, government departments and other organisations. It will help the government draw up an Immigration Bill as part of expected changes to the system when Britain leaves the EU next March. It considers migration from the EEA, which includes the EU, as well as Iceland, Norway, Liechtenstein and Switzerland. Recent figures show net EU migration to the UK – the difference between arrivals and departures – was 90,000 in the year to September, the lowest for five years. The Home Office welcomed the report and said the evidence it included would be considered in the development of a new migration system which “works in the best interests of the whole of the UK”. Business Secretary Greg Clark has written to Melrose demanding “binding” commitments from the turnaround specialist over its £8.1bn bid for GKN. He sought “extensive and clear” measures over GKN’s workforce, research and development, and pension schemes. Mr Clark also raised concerns over national security given GKN’s role in supplying the UK armed forces. In response, Melrose set out a number of pledges, including not selling GKN’s aerospace division for five years. The turnaround specialist said that for five years it would maintain the company’s London listing, maintain its UK headquarters, and ensure research and development (R&D) spending was at least 2.2% of sales. If Melrose’s bid succeeded, Mr Clark told MPs that the Ministry of Defence would seek a “legally binding commitment relating to the management of any defence contracts”. He told the Commons he would await MoD advice before deciding whether to intervene in the deal on national security grounds. GKN makes parts for planemakers Airbus and Boeing, as well as parts for Volkswagen and Ford cars. It is one of the UK’s largest industrial firms, employing more than 59,000 people globally – 6,000 of them in the UK. Melrose specialises in buying up industrial companies it believes are undervalued and restructuring them before selling them on. GKN shareholders have until midday on Thursday to accept the bid from Melrose, or back GKN’s own business plan. The plan includes combining GKN’s automotive unit with US group Dana, leaving GKN to concentrate on its aerospace business. In his letter to Melrose chief executive Simon Peckham, Mr Clark set out a series of commitments “which would need to be binding” if the company’s bid for GKN was successful. He said GKN should remain operating as a UK business, with its share listing and headquarters staying in the UK. GKN should also maintain its UK workforce and respect existing employment rights.In addition, Mr Clark sought commitments over investment in R&D, investment in workforce training, and arrangements for current and future pensioners. In the area of defence, the business secretary said he would expect “to see a commitment to continuity of ownership and strategic investment”. Also, Melrose should not quickly sell-on the business without the government’s consent. Mr Clark said he was “mindful the business model which Melrose operates and its history of acquiring, improving and selling businesses”. Whilst this approach can have an important and beneficial role to play, tensions could arise between this approach and the need for long-term investment and stability. He said the public “reasonably” expects that companies which receive public money through contracts or R&D, should take a long-term view. In response, Mr Peckham said Melrose’s proposal was preferable to the “fire-sale being undertaken by the current GKN board”. 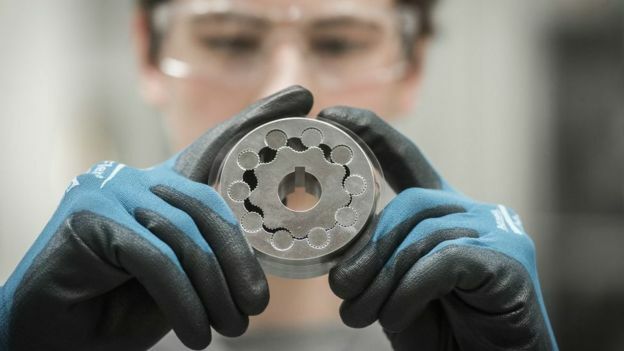 He said Melrose had agreed a number of legally enforceable undertakings with the Takeover Panel to address the government’s concerns – including maintaining GKN’s UK base and its spending on R&D. To demonstrate the strength of our commitment and ensure that its improvement and investment programme is not unduly interrupted, we are willing to make a legally binding commitment to you … that, subject to below, Melrose will not sell the aerospace division before 1 April 2023. This would not prohibit it from floating the aerospace division on the UK stock market, Mr Peckham added. He also said that if it was approached by a “suitable strategic purchaser” before 1 April 2023, Melrose would seek government approval for the deal. Employers that fail to publish their gender pay gap on time are being warned they are in the “last chance saloon” and may face “unlimited fines”. 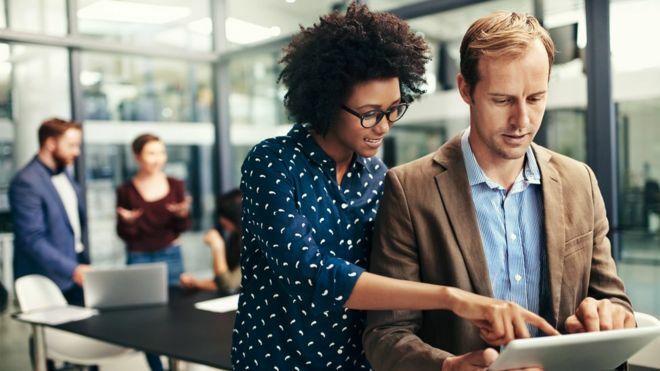 For the first time private and public bodies have been instructed to publish the difference between what their male and female employees earn. But with the final 4 April deadline looming, many of them appear to be holding back until the last minute. Fewer than 4,000 out of 9,000 have so far published the required data. The Equality and Human Rights Commission (EHRC) said firms were now in the “last chance saloon” over the issue. All companies with more than 250 staff must publish the difference between the median hourly pay of men and that of women at their firm by 4 April. Public sector bodies face an earlier deadline of 30 March. The EHRC said it would instigate enforcement action on 9 April, which could lead to legal action and an “unlimited fine” set by the courts. She warned that companies that did not comply should “be prepared for serious reputational damage” and “a very unhappy workforce”. The data published so far indicate divergent picture. A higher pay gap indicates a workplace where men dominate the senior or better paid roles. The gap between men’s and women’s median hourly pay at a national level is 18.4%. 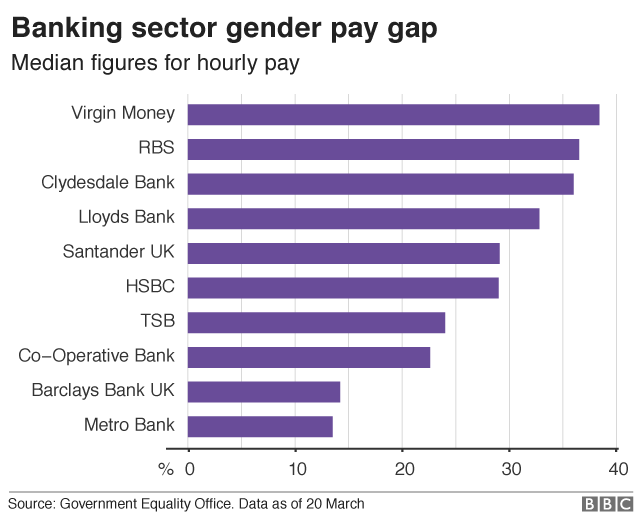 But several companies, including Lloyds, Virgin Money, RBS, and Clydesdale Bank have reported pay gaps in excess of 30%. In the aviation sector Thomson Airways, TUI, Easyjet and Jet2 published median pay gaps over 45%. Across the industry men dominate well-remunerated pilot roles. The public sector has also thrown up some wide disparities. At least 10 schools and several academy trusts have a median pay gap of more than 50%. MPs have questioned whether the scheme to highlight disparities is working effectively. Next month the Business, Energy and Industrial Strategy Committee is launching an inquiry which will examine the issue as well as executive pay as well as the gender pay gap in the private sector. Some law and accountancy firms were criticised for leaving out highly paid partners when calculating their gender pay gaps. Rachel Reeves who chairs the committee said: “Transparency on gender pay is only the beginning. We need to examine why these pay gaps persist, why within the same sector there may be companies with wildly differing pay-gaps, and what remedies are needed to tackle them.” The Fawcett Society said that in addition to fairness for staff, employers themselves were losing out by not addressing the issue of gender imbalance in the workplace. said Jemima Olchawski, head of policy and insight at the Fawcett Society. She said pay gap reporting should provide firms with an opportunity to understand and address why it was happening at their organisation. Uber is selling its South East Asia ride-share and food delivery businesses to regional rival Grab. The move marks a further retreat from international operations for Uber, after it sold its China business to local rival Didi Chuxing. Both firms describe the deal as a win for their passengers, but analysts warn it could mean higher prices. Grab is South East Asia’s most popular ride-sharing firm with millions of users across eight countries. Under the terms of the deal, Uber will take a 27.5% stake in Singapore-based Grab. Uber’s chief executive, Dara Khosrowshahi, will also join Grab’s board. The value of the deal has not been made public. 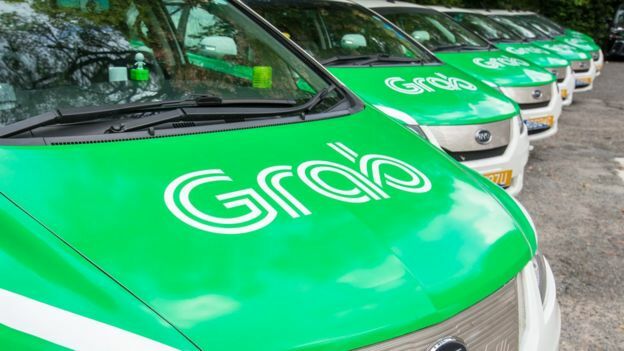 Grab’s chief executive Anthony Tan said the deal “marks the beginning of a new era” in which the merged business would be better placed to serve customers. The deal marks Uber’s third retreat after it withdrew from China in 2016 and sold its Russia business to local firm Yandex last year. Mr Khosrowshahi has been preparing the firm for an initial public offering in 2019. Uber invested $700m in its Southeast Asia business and another $2bn in China before it sold its operations there. In November, Mr Khosrowshahi, said the company’s Asian operations were not going to be “profitable any time soon”. Uber is keen to push the message that this isn’t a retreat from South East Asia – that instead, this is a merger of equals – a partnership of sorts. But while it’s true that Uber does get a sizeable stake in Grab, it is hard to ignore that this is the third market it is pulling out of. First China, then Russia – now South East Asia. Look closely at the internal email that Uber chief executive Dara Khosrowshahi sent his staff announcing the deal, and you can see a hint of an acknowledgement that perhaps their global strategy of barging into overseas markets isn’t going as well as Uber had planned. “One of the potential dangers of our global strategy,” he writes, “Is that we take on too many battles across too many fronts with too many competitors.” This deal does beg the question what does Uber do next in Asia – because it is only really Japan, South Korea and India that it now operates in – and in all of those markets, it is facing competition of some sort, home grown or otherwise. If this defeat at Grab’s hands is anything to go by – Uber best be prepared for a tough battle ahead. Last year, Uber lost $4.5bn (£3.2bn) – and its chief executive – as it underwent a fundamental shake-up following a harassment scandal. But some fear that its withdrawal from South East Asia could result in higher prices for users there. Competition in the ride-hailing sector has been fierce, resulting in discounts and promotions offered to riders and drivers reducing profit margins. But consolidation in the industry was widely expected after Japan’s Softbank Group made a large investment in Uber last year. SoftBank is a major investor in several of Uber’s rivals including Grab, China’s Didi Chuxing and India’s Ola. It is believed to have pushed for consolidation in order to improve revenues. Grab currently operates in eight countries including Singapore, Malaysia, Indonesia and Vietnam. The deal – which is yet to be approved by local regulators – includes the sale of all of Uber’s operations in the region, including its key food delivery service Uber Eats. 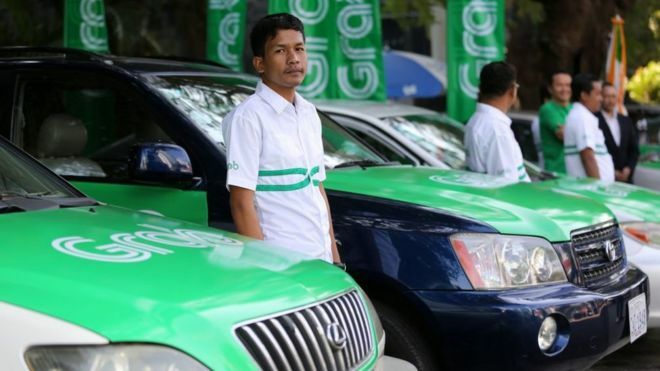 As a result of the merger, the GrabFood service will expand from two to four South East Asian countries by next quarter, Grab said. The company said the deal would help it move towards profitability, and would also help to increase “adoption of the GrabPay mobile wallet and support Grab’s growing Financial Services platform”. Modern Times Group (MTG) has decided to split into two companies, one for e-sports, gaming and digital entertainment, and the other for broadcasting, studio production and social media advertising. The plan follows TDC’s withdrawal from the merger with MTG Nordics that had been agreed at the beginning of February. MTG said it will distribute all of the shares in Nordic Entertainment Group to MTG shareholders and list them on Nasdaq Stockholm. Nordic Entertainment Group will comprise MTG Nordic Entertainment, MTG Studios and Splay Networks. Its president and CEO will be Anders Jensen, currently MTG executive vice president and CEO of Nordic Entertainment. A CFO will be appointed in due course. Nordic Entertainment Group will have an appropriate capital structure to fund its further expansion and shareholder returns. Jensen said its studios produce and distribute popular formats, and it will now add Splay’s ability to help advertisers and influencers succeed in social media. The other, remaining company will go under the name Modern Times Group MTG AB. It will comprise the electronic sports activities (ESL, DreamHack and ESEA), online gaming (InnoGames and Kongregate) and digital video content (Zoomin.TV, Engage Digital Partners) operations, as well as other minority holdings Comosa and Bitkraft. MTG will be well funded and will focus on developing and expanding its portfolio through a flexible buy-and-build strategy. Jorgen Madsen Lindemann will continue as MTG president and CEO and Maria Redin will continue as MTG CFO. MTG will keep its headquarters in Stockholm and its Nasdaq Stockholm listing. The proposals will be put to an Extraordinary General Meeting (EGM) in the second half of 2018. The board’s final proposal will be subject to the combination with TDC Group not going ahead, it pointed out. MTG said the split will create two separate companies with clear investment profiles that are well positioned to capitalise on consumer trends, capture growth opportunities, and generate sustainable value for owners, customers and employees. A new runway at Heathrow is an opportunity to give a great boost to British business, connecting ambitious small firms to new markets. Additional airport capacity is clearly in the long-term national interest of the UK. We urge politicians across the political spectrum to ensure shovels are in the ground as soon as possible – it’s in the best interest of the UK economy, small businesses and the jobs they provide. It’s essential small firms are given the opportunity to play a major part in the huge procurement exercise to build both the runway and associated works and that promises for increased regional connectivity are delivered following a new runway being built. There must also be new routes overseas, boosting freight exports and connecting our world-beating businesses to new destinations, especially as we expect small firms to look to new markets post-Brexit. Heathrow has issued the following statement regarding the release of a new report by the Transport Select Committee today. This report couldn’t be clearer – Heathrow is the right answer for the UK and Parliament should green light the policy for Heathrow expansion and allow the project to move into the planning phase. We are also clear that we will deliver an expanded Heathrow that is sustainable, affordable and financeable and maintains Britain’s position as a global trading powerhouse.